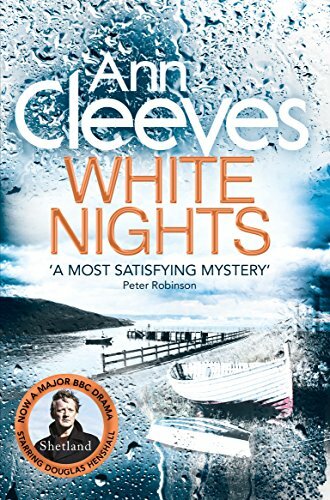 Following on from the award-winning Raven Black, White Nights is the second title in Ann Cleeves' popular Shetland crime series - now a major BBC1 drama starring Douglas Henshall. When Shetland detective Jimmy Perez finds a body in a hut used by fishermen it seems to be a straightforward case of suicide. He recognizes the victim - a stranger with amnesia who had disrupted a local party the night before his death. Yet this is no desperate act of anguish, but the work of a cold and calculating killer. As Perez investigates, he finds himself mired in the hidden secrets of the small Biddista community. Then another body is found. Perez knows he must break the cycle before another death occurs. But this is a crazy time of year when night blurs into day and nothing is quite as it seems . . .
Also available in the Shetland series are Raven Black, White Nights, Red Bones, Dead Water and Thin Air.